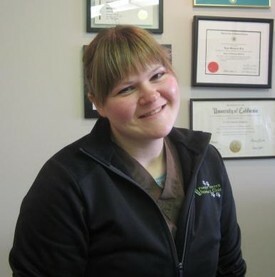 Dr. Bitinsky graduated from the Western College of Veterinary Medicine in Saskatoon in 1998. She worked at the Cumberland Animal Clinic before opening the Forest Grove Veterinary Clinic with Dr. Wanda Burbridge in October 2000. She shares her life with her husband, Kevin, and dogs Cricket, Bounce, and Wynn. She has a special interest in canine behaviour and outside of the clinic she enjoys reading, knitting and participating in competitive dog agility. 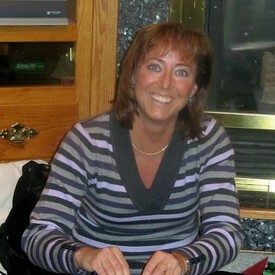 Sue Tedesco grew up in California. As a child she always knew that she wanted to be a vet and went to vet school in California. In 1989, she came to Saskatchewan to do a PHD on muskoxen and has been here ever since! She started at Forest Grove Veterinary Clinic in 2008 and she lives near Pike lake with her husband and daughter. Sue has several pets, including 2 dogs, 5 cats, and 3 horses. She is a real softy to any animal that needs help and is very devoted to her work. Originally from Alberta, Leah received her veterinary degree in 2009 from the Western College of Veterinary Medicine in Saskatoon. She was certified in Veterinary Medical Acupuncture in 2010 (Colorado), and has been working at Forest Grove Veterinary Clinic since 2011. 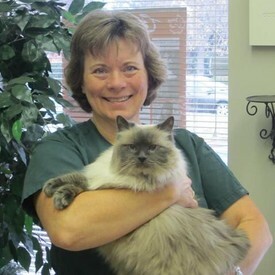 Her professional interests include acupuncture, dentistry and feline medicine. Outside of her veterinary work, Leah also teaches Zumba, and Aqua Zumba classes. Her other recreational interests include salsa dancing, weight-lifting, and spending time with her two cats. 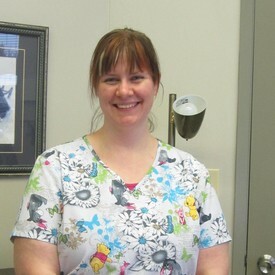 Wendy started at Forest Grove Veterinary Clinic when it first opened in 2000. Wendy is married to Carl and they have 3 children; Kyle, Julie and Evan. She also shares her home with a wonderful cat named Sophie. Outside of work, Wendy enjoys going to the gym, kayaking, bridge walking, gardening, reading, and traveling. Jesse was raised on a mixed livestock & grain farm and was always found doing daily livestock chores. From her upbringing and always being surrounded by animals, she knew her true passion was to work in the veterinary field. After graduating from high school, she went to College and received her diploma in Animal Health Technology. Jesse has been a Technician since 2007. She is the proud owner of 1 dog and 2 curious cats! In her spare time she can be found doing laps at the dog park and enjoying her kickboxing routines! Lynnsey grew up in a farming community in central Saskatchewan. She has always loved animals and during her childhood was always bringing home the strays to give them a little TLC, a warm bed to sleep in, and a belly full of food. Her passion to work in the veterinary field was developed when she began to volunteer at the local vet clinic through high school. 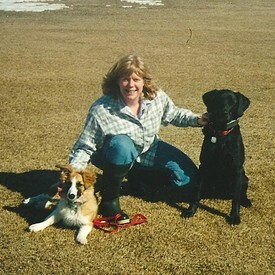 After graduation, she went directly to Lakeland College in Vermilion where she obtained her diploma in Animal Health Technology in 2006. 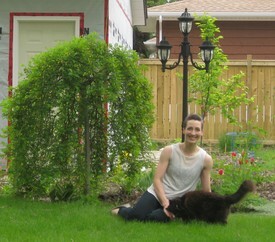 Prior to moving to Saskatoon she worked at a mixed animal practice in southern Saskatchewan. She has a special interest in behavior, and in 2014 she earned her certification in Low Stress Handling. In her spare time you can usually find Lynnsey playing her guitar or piano, or just hanging out with her dog and two crazy cats!